Join us on Thursday, December 13 at 6:30 p.m. at Westhoff Elementary to learn about District of Choice, Parent Employment (Allen Bill), and Interdistrict Transfer programs. 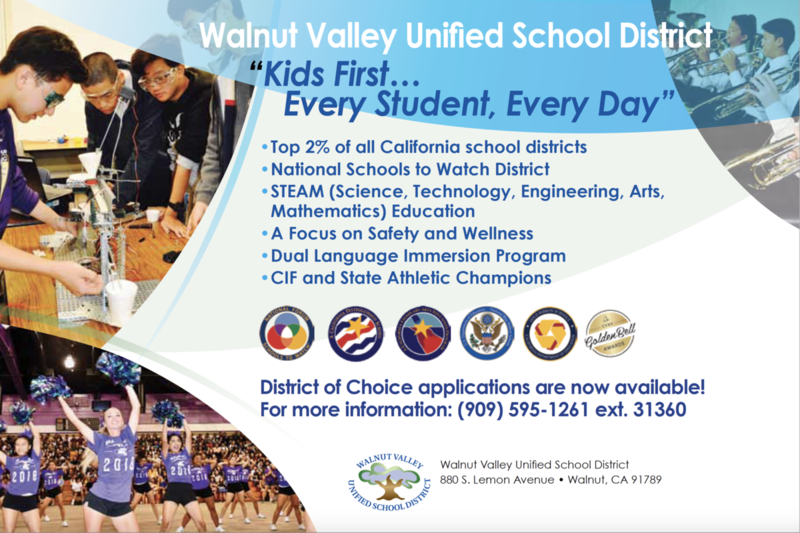 Thank you for your interest in the Walnut Valley Unified School District (WVUSD): the premier school district in the State of California! We offer a variety of enrollment options for those students that reside outside of our school district boundaries. Please review the enrollment options described below. For more information or general inquiries regarding enrollment, you can contact us at 909-595-1261 or email us at enroll@wvusd.k12.ca.us. We are offering a WVUSD Open Enrollment Information Night on Thursday, December 13, 6:30pm at Westhoff Elementary School (20151 Amar Rd., Walnut, 91789). The purpose of this meeting is to elaborate on the below enrollment options, as well as answer any questions. WVUSD participates in the District of Choice (DOC) program. DOC is an enrollment program that gives parents and students residing in any district* the opportunity to apply for enrollment in WVUSD. 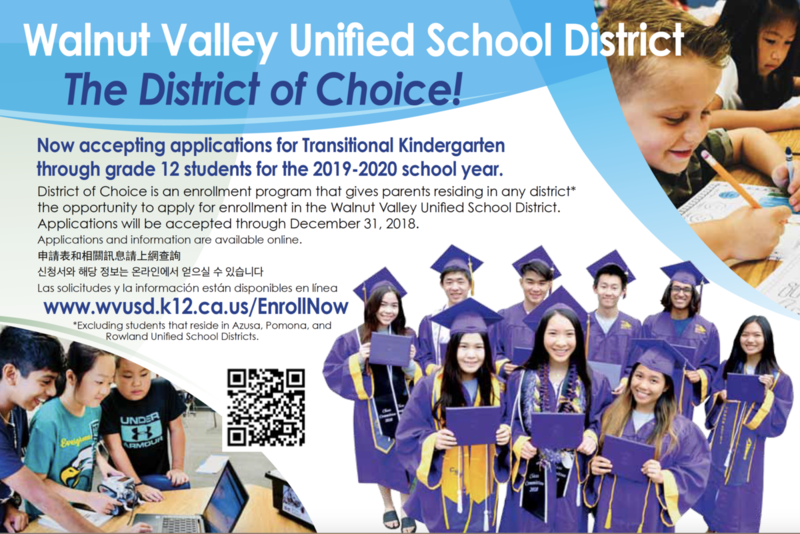 DOC applications for enrollment are found online at www.wvusd.k12.ca.us/EnrollNow. You do NOT need a release from your district of residence. In the past, 100% of DOC applicants have been accepted for enrollment in WVUSD. This transfer option provides the best guarantee for enrollment in WVUSD. 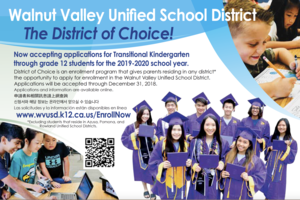 DOC applications are to be submitted to WVUSD by December 31, 2018. *Students residing in Azusa, Pomona, and Rowland Unified School Districts are excluded from this option. Please read below for alternatives. A parent or guardian who is physically employed within the WVUSD school boundaries for a minimum of 10 hours per week can enroll their student through the Allen Bill transfer option. Parents or guardians can enroll their student(s) directly to WVUSD by completing an Allen Bill application, and providing verification of employment within our district boundaries (i.e. pay stub, verification of employment on business letterhead). Parents or guardians can request from their home district of residence to be released by completing an Interdistrict Transfer Permit application through their home district of residence. 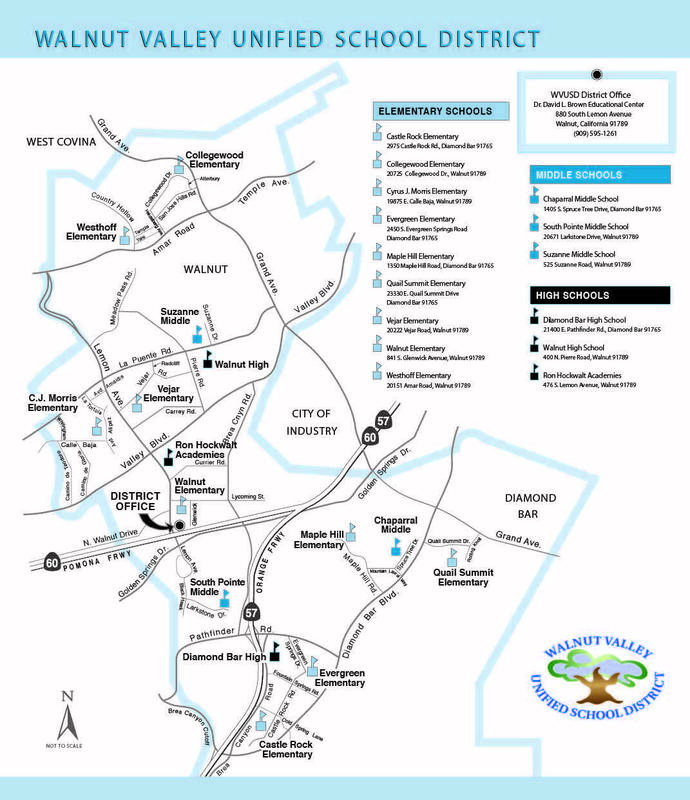 The Interdistrict Transfer Permit application will ask for a receiving district (in this case, Walnut Valley USD) and reasons for the transfer. Should your home district of residence release your student from attendance, the application would then come to WVUSD for approval. If an Interdistrict Transfer Permit application is denied, the parent and student may file an appeal to the county office of education in the student’s district of residence within 30 days of the notice of denial.